There is nothing more enjoyable and more physically rewarding than playing sports. There may not be a better option when it comes to getting back in shape than picking up a sport. That is because they are fun and also a great way to keep the body active and not inert. But sports can be physically demanding on the body, especially when your body is not used to doing all the twists and turns that are required. These twists and turns can lead to painful injuries – something we all desperately want to avoid. Our chiropractors have a great amount of experience in dealing with sports injuries. They have helped rehab the injuries of many professional and collegiate athletes, bringing them back to a form where they can once again compete and perform at a high level. If you’re hurt and are hobbling around – unable to play the sport you love, stop by our clinic and get things checked out. We will take all the necessary actions to return you to your previous, healthy form. There are many different types of injuries. We will go over some of the most common ones. It is our hope that our brilliant doctors and physicians have compiled a valuable resource for the laymen – a resource that doesn’t require a medical degree to understand, and a resource that people will refer to whenever they have any questions about sports injuries. ACL injuries are very painful. Many athletes who tear their ACLs have to give up sports altogether. They lose all their mobility and sense of quickness. They can no longer make quick cuts. They can’t do the same things that they used to be able to do. It is very unfortunate that so many athletes have to end their careers because of this. In a matter of seconds, an athlete might have to give up their greatest love. This is a reality that athletes all around the world must accept, though, and it is a reality that will not change whether we wish to pretend that exists or not. The good news is that, as of late, the technological improvements in the medical and surgical domains have really increased the chances of full recovery from an ACL injury. Athletes such as Tom Brady, Jamaal Charles and Adrian Peterson have had ACL tears, but have come back performing at the top of their game. But the thing is, it wasn’t just the surgery that made them better. It was also rehab. 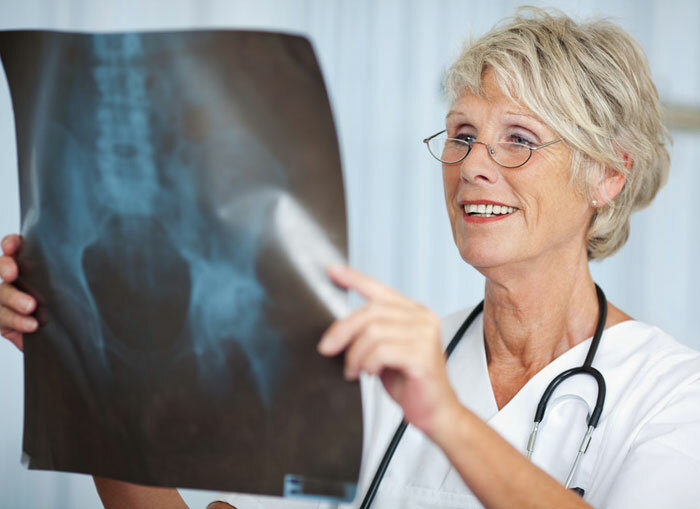 They worked with specialists – much like the ones you find here at Doctors Clinic Houston. Specialists of this kind strengthen the muscles around the knee to give the knee more stability. Doing mini one-legged squats on a slanted surface works wonders. It is what Adrian Peterson would do after his injury, and it is what Jamaal Charles did once he learned that it worked so well for AP. Making quick cuts early on after the injury isn’t advisable, and it probably never will be. The majority of physicians and specialists recommend that no rigorous activity should be attempted until pain subsides. Other experts go so far as to say that any weakness in the knee means that more rest is required, even if pain isn’t felt. Many folks, after having suffered an ACL injury, believe that it is impossible to return to one’s previous, healthy form. The ones that are football players don’t think it is ever again possible to run that incredibly fast 40 yard dash. The ones that are basketball players don’t think they can once again regain those hops. The soccer players don’t think they can ever again make cuts towards goal and take shots on the run at full speed. More often than not, they are right. But they are right because they have made it a self-fulfilling prophecy. They give up in training and working hard to restore themselves to original form. Their minds mess with them more than anything else. And for that reason, the ACL is one of the worst sports injuries. It takes such a long time for one to even be able to walk without pain that it is common for folks to just give up and say that it’s impossible to become a decent, mobile athlete once again. Concussions are one of the trickiest sports injuries to diagnose. They are also one of the scariest. Often times, an athlete may bang his or her head during the course of a sports game, feel a bit woozy, but then shake it off and re-focus on the game. They don’t feel as though they can’t continue playing, so they choose not to take the precautionary measures to check to see whether something is wrong. There are some instances of concussions where an athlete may not even remember where he is. Troy Aikman, the former professional Quarterback for arguable the greatest franchise is all of sports – the Dallas Cowboys, had to retire because of far too many hits to the head. In one game – the NFC championship game – Aikman got hit so hard that, when he went off to the sidelines, he couldn’t answer any simple questions that the medical staff asked him. They asked him what high school he went to, and he forgot. They asked him where he was, and he thought he was at. Aikman had no idea where he was, what he was doing, and even who he was. It was a very scary thing to witness. No doubt, severe concussions are incredibly frightening. They can cause permanent brain damage. Folks can lose their long-term memory, lose their ability to speak fluently, or even forget how to do basic things like tie their shoes. The less severe concussions may not lead to such nightmarish consequences immediately, but over time, as the brain takes more punishment, those same symptoms of long and short term memory loss may ensue. Brett Favre, the former Quarterback of the Green Bay Packers, the New York Jets and the Minnesota Vikins, is beginning to experience these dreadful symptoms. All that punishment his brain took whenever he got pounded to the ground by a 300+ lb lineman has led to him forgetting even what sport his daughter played as a child. Concussions are no joke, and even if you don’t feel woozy or nauseous after taking a blow to the head, going to the doctor to get it checked out is a must. There can be internal bleeding, which can be fatal. Although we gave examples of NFL athletes suffering from them, athletes in any sport can get concussions. Whether it be hockey, soccer, baseball, there is always a chance that something bad can happen. A lot of it is out of one’s control, but if it does occur, or when it does occur, getting to the doctor right away is about the wisest thing one can do. It’s important to be cautious and circumspect. We all like to stay on our feet. Nobody likes to stumble and fall to the ground. But every now and then, it happens to the best of us: we lose our balance and fall right to the floor. It is embarrassing, yes, but even worse is that it is extremely painful. Nature can be a pain in the rear end at times – or the hip. Hip pointers are caused by a direct blow to the iliac crest (the front and top part of the pelvis). A lot of folks get right back up and continue on as though nothing had happened. Several hours later, though, the pain begins to kick in and it becomes almost unbearable to take a step forward. Most hip pointers occur in contact sports, like football and soccer (but especially in football). A linebacker can tackle a running back and that running back can fall right on his hip, with all the weight of the linebacker making it all the more painful. A goalkeeper might try and make a save; he might leap from one end of the goal to the other, arms spread out, both legs suspended in the air, and then, the goalkeeper may land directly on his hip. What follows this is wailing and extreme discomfort. Often times, this can cause the hips to become misaligned. Hip pointers should be treated immediately. Resting and icing the hip is recommended practice. It isn’t really possible to elevate the hip, so the RICE protocol doesn’t apply here. The healing process takes at least a few weeks, but depending on how severe, can take much more. Some folks never recur from hip pointers and will always suffer from acute hip pain. It is very difficult to prevent an injury of this sort. You can’t tape the hip like you would an ankle and you can’t really wear a brace like you would for a knee. The best word of advice would be to strengthen the muscles around the hip, so that if one were to receive a blow to the hip, it wouldn’t do nearly as much damage. What is a rotator cuff? We hear the term being thrown around on the regular, yet it seems as though the majority of us don’t quite know where it is. All we know is that it is a body part that gets hurt a lot. The rotator cuff is a group of 4 muscles that form to told together parts of the shoulder. It is a very delicate part of our body. Rotator cuff injuries are among the most painful injuries. They also are one of the injuries that take the longest to heal. And often times, they don’t even heal properly. Baseball players end up tearing their rotator cuffs more than most athletes. When it happens it can be a death sentence to their baseball careers. It’s just not possible to throw the ball with the same zip and the same speed after having a rotator cuff injury. Even surgery doesn’t help very often. This means that folks need to strengthen the muscles around their shoulders. They have to take preventative measures. Shoulder injuries should be taken very seriously, especially given the shoulder’s complex anatomy. Returning to a sport to quickly may leave one prone to re-injure that shoulder. Nagging injuries can lead to chronic pain. It may make it even difficult to grab a drinking glass from the cupboards. That is how bad it can get. And that is why it is important to be cautious and circumspect when dealing with rotator cuff injuries. Cauliflower ear is among the most common injuries for wrestlers and boxers. It is often called the ugliest sports injury out there. An ear can swell up to almost triple its size and make a person’s face look deformed. So what is cauliflower ear? It is a collection of blood between the cartilage of the ear and the skin. It comes from repetitively bending the ear lobe. A blood clot is formed underneath the skin, and that is what results in the deformed look of the ear. The most effective way to prevent cauliflower ear is to wear protective headgear. Many wrestlers wear head gear to prevent their ears from rubbing on the floor mats. This will reduce the chances of the ear being bent into an awkward position. Football players can wear helmets that aren’t so snug that the ear is bent every single time the helmet is taken off. Fortunately, cauliflower ear is not among the most painful sports injuries known to man. It is something that isn’t fatal, and it doesn’t reduce one’s mobility in any way. Why choose Doctors Clinic Houston? With decades of combined experience, Doctors Clinic Houston has developed the necessary skill and expertise to offer top notch injury treatment services at the market’s best conceivable price. At Doctors Clinic Houston, we are always focused on how we can enhance the experience of our clients. For your first visit, we will make sure to identify the problem at hand and develop a solution to help treat the injury. Our doctors have earned a reputation for being among the most empathic, most patient, most indefatigable and hard working professionals in the health care industry.